It is possible to improve the shape of your legs and to make them attractive by regular exercises on the appropriate muscle groups. Today we will tell you about the five most effective and popular. Among other things, almost all the exercises for the development of the leg muscles involve the gluteal muscles. We think that it is the best side effect that can be possibly imagined. 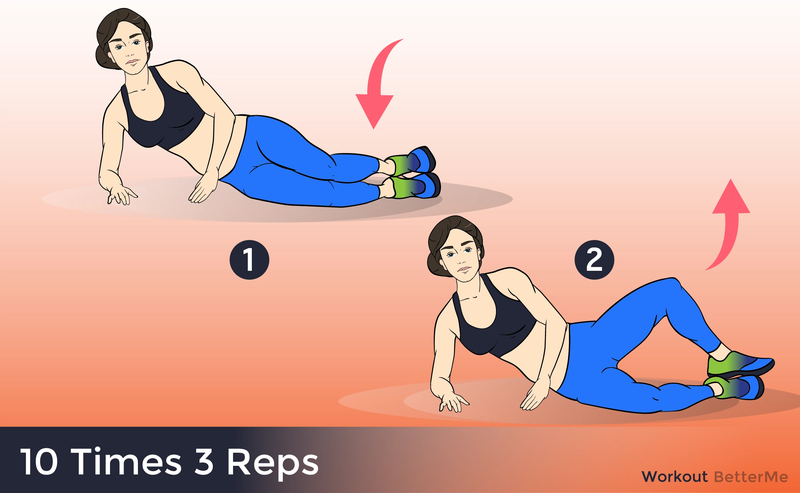 We bet that you must have heard of this exercises before. Please check them once again and make sure to complete them. Don’t give your laziness a chance! Please make sure to spend 10 minutes on cardio before completing this set and then 5 more on stretching muscles. It works better, when you make these exercises in the morning. However, honestly, it is not about time, it is about frequency. So, if you will do these exercises during 2 weeks on daily bases, you will see your first result and trust us, you will be satisfied. - Stand tall with a tight core and make sure your feet are shoulder-width apart. Bring your hands together for balance. - Step directly to the left, leaving your right foot in place. Bend the left knee and pause once the upper left thigh is parallel to the ground. Your right leg should be completely straight. - Contract the hamstring muscle then push off the ground to return to the starting position. Repeat on the right side. Alternate this movement. - Stand up straight with a tight core and flat back. Position your feet wider than shoulder-width. Your toes should be facing out diagonally. 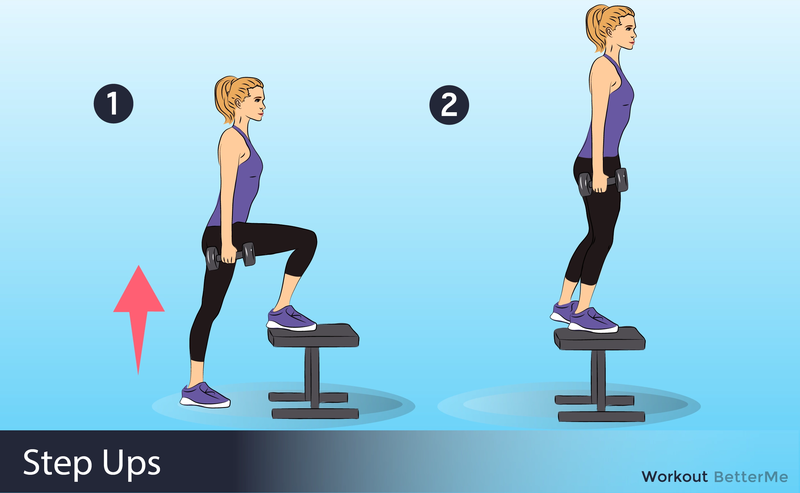 - Holding a dumbbell with both hands in front of you, look straight ahead and bend at the knees while driving your hips backward. Your knees should be following your toes in a diagonal line. - Complete this wide stance squat by having your thighs come parallel with the ground. Pause and slowly return to the starting position without locking your knees. Repeat. - Position yourself on the ground supporting yourself on your hands and knees. Push your leg bacjward. - Place your feet at shoulder width apart while keeping your chest up and your abdominals braced. - Begin the movement by swinging your arms up towards your shoulders. At the same time, bend at the knees and drive your hips back like you’re sitting in a chair. - Get into a plank position, with your forearms on the ground, elbows directly under your shoulders, and legs extended straight behind you, feet hip-width apart. - Your body should form a straight line from your shoulders to your ankles, and your core should be braced. - Keeping your hips parallel to the floor, squeeze your glutes to raise your right foot a few inches into the air. Hold for two seconds, then lower your foot. That's one rep.